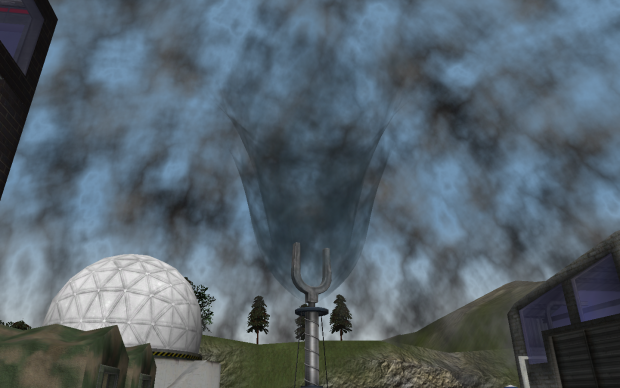 When computer games are released to the public, it doesn’t take long before a group of fans begin to tinker under the hood and produce a modified game or “mod” for short. Some Mods start with simple goals: replacing artwork, or minor numerical balancing of character and unit interaction. Some mods have far a loftier goal: a total conversion of the gameplay experience. The Command and Conquer universe is no stranger to the mod phenomena, in fact as a pioneer in the genre of games known as ‘Real-Time-Strategy’, it is frequently a source of inspiration – and the mechanism of choice to fulfil the fantasies of the creator. In an effort to promote some of the fantastic creations at their website, each year ModDB host the “Mod of the Year” contest. Now in its eighth year, the 2009 competition has attracted 80,000 votes for 3,500 different projects. After weeks of voting, the top 100 have been selected by you, the fans. Armed with a short list, ModDB staff are busy arguing over who should be the mod of the year and will award consolation prizes in various categories and genres. In fantastic news for the “Command & Conquer” community of modders, twenty projects based on the C&C universe or using a C&C game engine were nominated for the prestigious top 100. Red Alert: A Path Beyond is a total conversion that has made it to the top 100 for the fifth year. 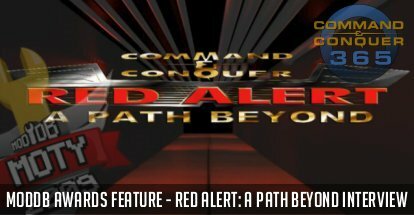 Red Alert: A Path Beyond (or APB for short) is a game that seeks to combine the best elements of two fan favourites in the C&C universe:- the original “Red Alert” RTS and the FPS “Renegade”. APB is a total conversion of the third-person, or god-view, military simulation game “Red Alert” from the RTS genre and turns the game upside down and asks what it would be like to play the game from the soldier’s point of view. APB is in essence, a hybrid first-person-shooter and vehicle combat game, borrowing the essential game play mechanics from innovative multi-player gameplay of Renegade. 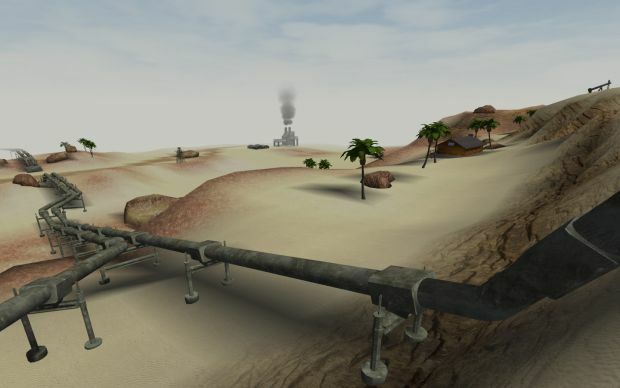 In Red Alert, the player would build a base, amass an army, slaughter his enemy in the battlefield, then raze the enemy base to claim victory. The player commanded futuristic-World-War-II-alternate history-technology in a parallel universe where Hitler never rose to power in Germany replaced by an aggressive Stalin and his Soviet Union. Making a mod is a large undertaking, and is greatly assisted by a team of talented and dedicated individuals. The APB mod has been around for about since 2004, although staff member “Pointless Ambler” quipped that it has been longer “a trillion years… we are from the Mesozoic era!”. Chronojam began designing maps for the mod in the early days and now leads a core group of eleven other people on this mod, although the full roster numbers 30 and another 40 people help in the testing and balance phases of the mods progression. In 2007 the team released the first major milestone in game development, releasing what they considered to be the ‘Beta’ of the final game. Most mods unfortunately never see the light of day, remaining unfinished and unreleased. APB, despite it’s great potential, was close to suffering the same inglorious fate. Speaking with Chronojam about the mods recent nomination in the ModDB awards he mentioned this as one of the proudest achievements of the mod. Thankfully, APB avoided the all too common fate of a community driven project run by volunteers: remaining unreleased and unfinished. APB does not seem to share the fatal flaw of mod development, is to over-promise and under-delivery. In fact a strong cadre of players and a steady influx of fresh meat has kept the team focussed on improving the game. In late December 2009, the team were able to release the major patch to the game, version 1.3.0 code named COLD FUSION. Addressing numerous bugs, balance issues, and some tweaks to map based issues the patch was a welcome relief to fans and players eagerly awaiting the next evolution of the gameplay: version 2.0.0 code named “GAMMA”. “2.0.0 is getting very close, and is mostly waiting on some W3d engine refinement by the TT group, texturing some completed models, and some voice acting. We cannot release publicly until the TT components we are using are green-lit for public availability. As our gameplay goals have been more or less met for this build, we are working on extra audio/visual replacements and assets for future APB builds. Although it would be a little impractical to ask every single person, “what is the attraction for people who download the series”, there is no doubt there is a huge nostalgia kick for players from the original “Red Alert” but the game also offers something for jaded FPS players who are bored by other predictable games. Red Alert allows the player to use almost the entire arsenal from the Red Alert game. “Cruise around in the Red Alert arsenal, patrolling for Soviet armour in a Longbow, or lurking under the surface as a submarine… it’s all there. That’s why I wanted to play when I first heard about it, and it got me really excited because there are so few games where infantry and vehicles can co-exist so well. I feel like I come from the Mesozoic era as well when I think about computer gaming when I started. Multiplayer games were limited to swapping joysticks on your console when you died, and Al gore hadn’t invented the internet yet. So it has become traditional for me to finish a game’s single-player campaign/s before ever attempting multiplayer aspects. The introduction of units and heroes through this story experience have always been critical to giving each unit it’s individual attributes and therefore it’s ‘character’. After completing a specific task or mission, I would imagine what else I could do with a particular unit in other circumstances. If by chance I met a fellow gamer we could discus our favourite units and how they would so obviously ‘pwn’ my friends favourite unit. Nowadays robust multiplayer through LAN and the internet gives the players the chance to prove our theories, and many a personal battle has been played out with friends and foe alike. But in my mind, the MP experience will always be grounded and compared against my expectations and wild imaginations sparked through the SP campaign experience. To that end, whenever I read about a new mod I wonder about the connection to the story of the game it has taken it’s inspiration from… is the inspiration the immersive SP campaign or the frenetic action of MP… does it attempt to continue, replace or complement the original fiction? “In some places, we do one or the other, but are very hesitant to perform a retcon. Our fans have a term they like to bring up whenever we make any sort of gameplay decision, or take a stance on our original fictional backdrop. They speak of “RAlism,” which is at its heart a realism based on the world of Red Alert. We try to stay true to the fiction we have, filling in the gaps with what we know about our world and how it relates to the RA world. Was it ever spelled out for us anywhere that the little proto-Gap Generators around a warship in the original Chronosphere test video were subtle clues that we were witnessing the Philadelphia Experiment? No. But any conspiracy theorist worth his salt will tell you the Philadelphia Experiment sought to cloak a warship but warped it instead, and we’ve ran with that to explain and fill in the background on how our Gap and Chrono tech was founded. Key to our infantry play, we have included snipers and shotgun soldiers; these were actually based on game code entries and a few different cutscenes, respectively. Sometimes, we ran into issues integrating the original game’s own expansion content. We explain how Soviet super soldier Volkov’s weaponry changes so significantly between the expansion missions he appears in; we’ve outfitted him with “modular weaponry” good for any situation. The prototype Allied Phase Transport that Volkov steals (perhaps a Mirage Tank precursor, and a safer cloaking tech than the Gap?) now appears as a production-line unit, the Phase Tank. That one was a tough choice to make, but it “fit” logically and fit the gameplay and how our players were using the vehicle for ambushes over infiltration. There is an upcoming objective-based map where we aim to re-create the third Allied mission, and because there were two versions of that level, we are going to hybridize the concepts from each a little bit. I think it’s going to be a blast. Every battle, the players get to use what we’ve given them to tell the story of the battle. On Seamist, did the Allied navy find its way through the storm en route to the Soviet mainland during an invasion push, or did the Soviet forces spot the small Allied radar station hidden on an outlying island and leave the armada lost? While we are relying on taking the game flow of Red Alert — a real time strategy game — and converting it into a new genre, first person. This has been attempted before. Renegade tried it, and Starcraft Ghost aimed to do it. Unfortunately, we feel Renegade did a rather poor job of it and we all yearned for more; and StarCraft Ghost never happened. We’re taking the atmosphere of Red Alert and letting players actually experience it while giving them tons of tactical choices and part of that is trying to ensure that every unit is a little bit different. While functionally, the rifle soldiers on each side are the same, their weapons behave just differently enough that “Allied tactics” do not work best with the Soviet soldier. I know that some projects similar to ours have tried to re-create the C&C FPS experience, or rather the Renegade experience (Renegade-X does a splendid job, Reborn tried to retain that gameplay)… because Renegade is “the” C&C FPS. But we have always been of the mind to try to push that aside, and ask ourselves what would be really Red Alert? What would be really fun? We’ve taken a number of departures from its formula, while borrowing some of the concepts that we felt worked. Red Alert showed us a soldier trashing a command center from the inside, armed with a shotgun; why would we rob our players of that rush, and just give them all the same dull block of C4 to place and forget? Why should our helicopters be identical aside from visually; why not make one a loitering armoured sentinel, and the other agile and quick-hitting? APB has stuck with the original engine created by Westwood. A decision that has borne unexpected benefits, when they were given permission by EALA to release their mod as an independent game. Red Alert: A Path Beyond is a free, standalone game – that means players don’t need to own or have installed the original “Red Alert” or “Renegade” to play, in fact everything needed to play APB is included in the installer. At just over 500MB, with an intelligent installer/un-installer, and using an engine that works extremely well even on low-end machines of a few years ago… it’s hard to come up with reasons not to download this game. Other software can give a benefit. Some people like to use XFire or Teamspeak, and we’ve worked with the XFire folks to ensure compatibility and our official server will automatically place you in the correct TeamSpeak channels during play. Having access to XWIS (Westwood Online’s successor) via an original Renegade registration is useful to some. The ability to download the game for free, even on an older engine, has an enormous benefit to the popularity of a mod. Yet more recent game engines are being made available for free or minimal cost to independent developers. It can be expected that once the team reaches certain milestones in terms of completion, discussion will be made to determine whether the mod would jump ship to other engines. I asked Chronojam how significant it was to use the original engine created as part of the same IP family as the source material… and how tempting the switch to a new engine would be to take advantage of the new toys. Staying on the old engine, it’s certainly something that I wouldn’t downplay. It’s a bit like how some people still work on Tiberian Sun mods that could just as easily work on Yuri’s Revenge with no engine issues blocking them, I suppose. Well, maybe not. And it’s not that Renegade itself is particularly sacred, but somehow it just feels right much in the same way that Red Alert itself took the old Tiberian Dawn engine in a slightly different direction with great results. “I mean, let’s face it, Renegade was definitely not the best FPS around despite how many hours many of us poured into it. Maybe in some way, we feel like we’re making good on the promise of a C&C FPS experience that never was really delivered upon by the original team. But on the other hand, despite its problems, the engine itself had a lot of potential and a lot of neat tricks built in that were simply never used and in some cases not really finished, but we can take advantage of them any ways; there’s something nice about that, it’s one of the things that has always attracted C&C modders I feel. That is, finding the curiously-implemented or incompletely-implemented bits, and doing something nice with them. It must be with some pride that the team looks at how much functionality has been added into the old engine. How much further can it be stretched? “One thing in particular that we’ve aimed for is making it easier to manipulate. Keeping things as easy to understand, as clean as possible, and as straightforward for us (or others) to use is an important thing. Older builds were messy in more than one way. I already touched upon cleaning up our used-assets so we can clear out old textures we don’t have a need for, but we’ve also cleaned tons of crap from everything else. In terms of extending the behaviour of older bits of code, there’s been a great effort to replicate the functionality of ancient, undocumented stuff in order to replace it with a “new” version that we can more or less control. Suddenly, there’s much less guesswork on what something does or how it does it, or how it will interact with another script or what-have-you. 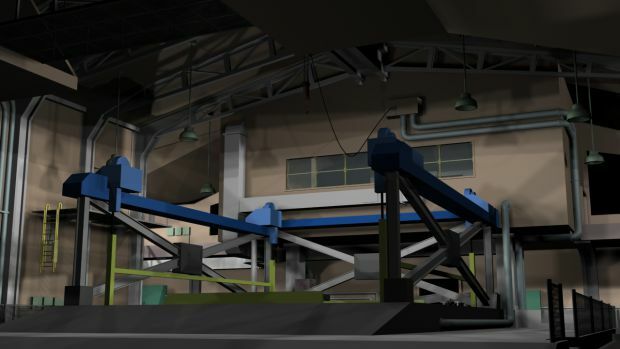 New engines provide new tricks and functionality but perhaps the most obvious motivation to switch to a new engine is the improved graphical capabilities. Yet I have always felt graphics were a by-product of the APB gaming experience, simply a bonus for players. As tremendous as the improvements to the game are compared to it’s original, it will always lag behind the most modern of games. So what is the appeal of sticking to an older engine? For years we’ve always aimed for gameplay over graphics, largely because our options were limited and we’ve only typically had a single guy doing models and a single guy doing textures along with a few guys who are more inclined towards mapping which is a strange hybrid of the two. That’s been to our great benefit, I believe. Instead of worrying about fancy graphics or focusing on perfecting our normal maps (a relatively new addition to what we can use), we basically just didn’t worry about how it looked and kept an eye on how it played. “We decided to add infantry with shotguns at one point, and didn’t have a model for the Soviet guy for a very long time, relying on a normal rifle soldier as a stand-in. We were talking about using the old Stinger for the Soviet’s new RPG soldier up until just recently when r34ch and TheBeerinator finished the actual RPG for him, a more recent example. Given our really good balance statistics, and how much the game is just plain fun, I don’t think anybody would have really minded if we had the Stinger in there. I think our game looks okay for a game from, say, 2003 perhaps? But it plays a lot better and is more fun than many newer games, with fewer elements a player can look at and say “that’s total bull****” about. A fairly large fish in a small pond of C&C FPS games is the fabulous “Renegade-X”. When you review APB you can’t help but think about the strong possibility of the team following suit and switching to the unreal engine. The reality of this option now made even more real thanks to the Unreal engine being made available for the development of indie games. So how likely is the possibility of APB being released on the unreal engine, following in the path trail blazed by “Renegade-X”? “It certainly might be an easier developmental path, that’s for sure. A lot of these newer engines and games have really nice libraries of textures (with all the fancy supplemental settings to say “this is a metal” and it then acts and looks like a metal) and a wide assortment of set pieces, built-in effects that require less fine tuning by hand, and a lot more customizability straight out of the box. Renegade had its “Mod College” way back, but it was never really the emphasis back then to open your game up for modders. You don’t need to fight the damned engine to make it do what you want it to do, but that is the charm of what we’re doing of course. Most of our tools and coolest features say “Welp, that was not implemented or was actually cut.” Even the full screen viewing in the model viewer was disabled, how crazy is that? Renegade-X looks really great, with stunning landscapes that would be terrible performance-wise on our older engine and difficult to create in the tools we are expected to use. I’ve been in a very informal discussion on our forums about using the Unreal engine, and it is interesting. The raw modelling and texture application itself would be largely the same, but that’s also the problem as that’s a bottleneck any ways in many cases. Would it play alright? I’m not sure about that, and I’m not sure just how much modification it would take to go beyond Renegade-X and do everything APB needs to do. While we could theoretically piggy-back off an existent project (we originally were kinda-maybe going to do this with the old defunct Dead-Six project that aimed to tell a larger Renegade story on a newer engine), we still need to basically re-invent the wheel in a lot of places. I mean, we started off by modifying an existing project and it’s taken quite a while to get things to feel right. Starting over again is not very attractive to those of us who have worked on this so long, and having seen more than one failed push to change engines has left a bad taste in the mouth. Any temptation to convert other EALA IP’s? Fill in the void left by TIBERIUM for instance? “We have, I’d like to think, pretty great team cohesion. We need to “finish up” A Path Beyond, and release and finish up Apocalypse Rising, before we can really say what would be next. Who knows what “finishing up” even means for that, at this stage. Right now, Bluehell Productions is made up of a great group of guys and I’d be certainly willing to stay working with them for a while longer yet on whatever new came our way. Given the long time scale involved, and how many long delays and breaks we’ve had, it’s hard to say when that will be. Were we to magically finish both tomorrow, I’d say something in the tiberium universe would be the next direction to take. I know some of the guys would not be as interested in that, and I know the later RTS entries left some players disappointed, but it really is a rich fiction with a lot of stories still to be told. I have no regrets for what projects we’ve selected and how we’ve gone forward, but we could have done so much with that setting. Sometimes, I like to wonder aloud with PointlessAmbler (the other APB producer) about how it would have been if we had just done Tiberian Sun instead. Perhaps it would have been “more awesome” but I don’t know if it would have been “more fun” in the end. There is a train of thought behind the scenes on any Hollywood movie, that the editing and post production is never finished, you’ve only run out of time and/or money. So it’s inevitable that there are areas in the APB game that still need to be improved. “I think I want to say, the inclusion of missing RA1 units/buildings. But a better naval combat flow is what we’re really going to be aiming for in Gamma. That’s what we’ve poured a lot of thought and theory and testing into. I’m still not sure it’s what we need it to be. So where do you see your mod in 12 months time? “Hopefully on more computers, enjoyed by more players. We have got so much done in the past two years, one more at the same rate would be great. 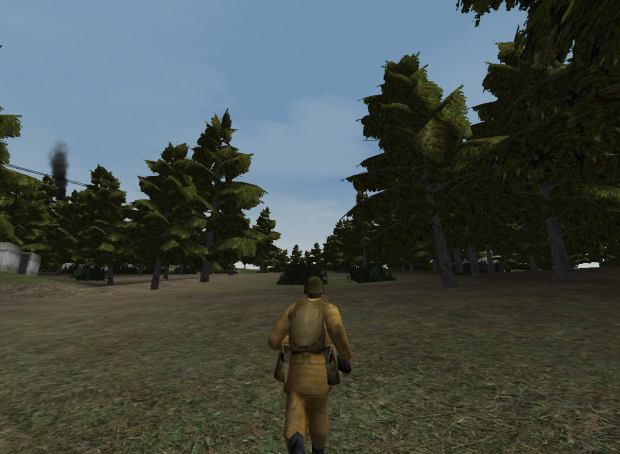 Gamma will be out by then I hope, and we’ll be working on replacing the ageing infantry and buildings. Maybe once we’re done, we’ll all take a nice long nap. Somebody asked recently what we planned to do after we were done with A Path Beyond and Apocalypse Rising, and I told him I wanted to nap. APB has held a webpage on ModDB since the middle of 2004, and has reached the 100 five times. In 2007, the team achievd it’s highest result coming 2nd place in the independent games section. The mod however has been widely recognised for it’s professional work, being featured in EA’s Battlecast PrimeTime; featured in print magazines like Game Informer, PCZone, Games for Windows, and Let’s Play; and featured/interviewed in a host of other community websites. The team were able to release the Cold Fusion patch as a Christmas present for fans and coincidentally for the ModDB Mod of the Year awards. Recently the team has released a fantastic new trailer, a direct homage to the original Red Alert starting movie showing off all the wonderful APB assets. If there was a classic Westwood-style installation video while we were installing your mod – what would it say? I’m a sucker for the old Westwood installers and I really miss the effort that was put into them. In reality we’d probably have a series of unit overview videos so that new visitors to the Red Alert universe don’t ask silly things like “What does Tanya do?” and the like. But of course, we’d also thank them for downloading and playing! We’ve had a lot of community support over the years, including from sites like CNCNZ.com. We’d also show the latest version of this trailer. We want to make it clear how Red Alert translates into A Path Beyond directly. A Path Beyond really puts you into the fray of the original game, letting you play the game the way you saw it a little closer to the cutscenes. That Mammoth Tank the Hinds are chasing during the RA1 intro? Yeah, a veteran player has probably been in that position! So there you have it, our first belated moddb, top 100 mod of the year. I have several more responses that need to write up, I intend to complete in the order I receive them. “A special thanks to CNCNZ.com for always supporting our projects. Community is important, and CNCNZ.com has always been there for the C&C community. And I’m glad that Intense and ModDB do what they do to support modders everywhere, they’ve given great visibility to a lot of treasures that would have been left undiscovered by many. And I want to thank Chronojam for the detailed and speedy response. Any errors in this document are most probably mine, lost in translation. You might see me online next time you play APB, but relax… I’m mostly harmless.